The Bensalem Kollel and Outreach Center is privileged to have an amazing, warm, and knowledgeable staff of dynamic men and women who are dedicated to serve our community. Their presence and warmth illuminates the lives of all who they come into contact with. Born in Harrisburg, PA, Rabbi Travitsky attended Mirrer Yeshiva in Brooklyn, NY and Yeshivas Mir in Jerusalem. He continued his studies at Beth Medrash Govoha in Lakewood, NJ, where he received his Rabbinical Ordination (Semicha). In 1987 he married his wife Malky (nee Fendel) from Forest Hills, NY. Malky studied at Bais Yaakov Seminary in Jerusalem and holds a BS in Computer Science from Queens College. In 1996 Rabbi Travitsky assumed the position as Rabbi of Kehillas Bnai Shalom in Bensalem. Shortly thereafter he embarked upon a campaign to build the Bucks County Mikvah and founded the Bensalem Community Kollel and the Bensalem Jewish Outreach Center. Malky runs the busy Travitsky household and the BJOC office. She also directs all the women's Outreach activity in the community. Ephraim was raised in Teaneck, NJ. After finishing Mesivta in the summer of 2002, his family made Aliya to Israel where they currently reside, in HarNof. There Ephraim studied in Yeshivas Toras Simcha and in Yeshivas Mir. In 2007, Ephraim married his wife, Kayla Bracha aka KB (nee Katz), who is originally from Philadelphia, PA. They lived in Israel for three years where Ephraim continued to learn in Yeshivas Mir and in Ohr Sameach in the Ohr Lagolah Program. They moved to Bensalem in 2010 and are very happy to be a part of such a wonderful community. After learning in the Bensalem Kollel, Ephraim now teaches in the Talmudical Yeshiva of Philadelphia and works for Six Points Catering. KB teaches in Politz Hebrew Academy and gives many classes for Bensalem's Women's Café Connect program and many other outreach events. They have three beautiful children, Devora Ita, Eliyahu, and Naama . Ephraim and KB bought a home in Bensalem and look forward to being involved in the community for many years to come. Yossi is a native of Queens, New York. Growing up, Yossi was involved with many volunteer and Jewish educational programs, including serving as a Jewish day camp counselor and spiritual leader of Shabbos groups. 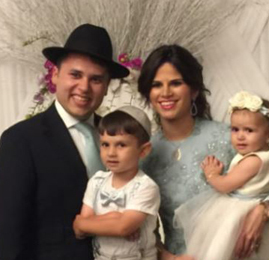 He spent a summer participating as a member of the SEED program in Bensalem before going to learn at Yeshiva Yagdil Torah in Israel, and returned to the States where he met and married his wife, Leah (née Braverman). Yossi and Leah spent four years in Yerushalayim where he received Semicha from HaRav Yitzchok Berkovits, and his Kashrut certification from the Jerusalem Kashrus Institute. They then returned to the States, to embark on their mission to provide a Jewish education to others who may not have had the opportunity. Yossi currently studies in the Bensalem Kollel in the mornings and is the Director of Development at BJOC, where he is responsible for developing relationships with local businessmen and executives. Leah is busy caring for their three lively children Peri, Moishy and Dovi. Eli was born and raised in Toronto, ON. He studied in Yeshivas Ner Yisroel of Toronto, in Mesivta of Belmar and then in Lakewood East in Israel. Upon his return to Lakewood he married his wife, Shevy (nee Weinreich) who grew up in Boro Park, NY. She graduated from Adelphi University with a Master's of Science in Speech Language Pathology. They both share a passion for outreach and involvement with Jews of all backgrounds. After living in Lakewood for a few years they moved to Bensalem where Eli joined the Bensalem Kollel. Shortly thereafter, Eli became the Executive Director of BJOC and is currently the head chef at Yeshivas Chofetz Chaim in Cherry Hill, NJ. Their Shabbos table is the talk of town, as one after another, people have enjoyed the delicious food and their warmth. Their outgoing personalities have endeared them to the entire community. They are blessed with four beautiful children, Leah, Chaim, Shmuli and Esther. 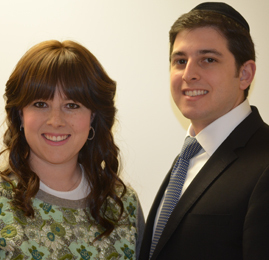 Eli & Shevy bought a house in Bensalem and are looking forward to living there for many years to come! 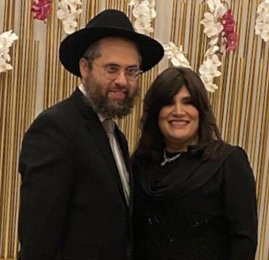 Moshe and his wife Chani (nee Marx), both grew up and attended elementary and high school in Passaic, NJ. 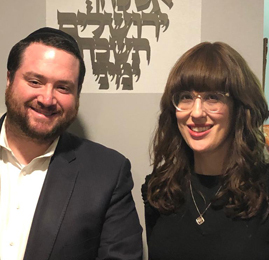 After living in Israel for four years, where Moshe received his ordination from Yeshivas Aish HaTorah, they moved to Bensalem where Moshe assumed the position of Outreach Director. Moshe's passions are meeting new people, playing ball, teaching, and spending time with his family. Chani practices as a speech language pathologist in the area and has become well-known for her hospitality, mouth-watering challah, and thrilling monthly Café Connect program for women and girls. Together with their three adorable girls, Miri, Rachel, and Malka, Moshe and Chani welcome countless guests to their home for weekly Shabbos meals. Moshe also serves as Director of the Bucks County Hebrew School, and runs interactive weekly Sunday classes open to parents as well as to the general public, focused on current issues in Jewish thought and practice. Yitzchok learned in Yeshiva Mishkan HaTorah in Lakewood, NJ. He then moved to Israel where he learned in the Brisk Yeshiva under the leadership of HaRav Dovid Solevichek. On his return to the States he studied in Bais Medrash Gevoha, in Lakewood, NJ. Yitzchok is married to Rochel (nee Wolpin). Rochel grew up in Chicago and subsequently her family moved to Lakewood. She works in computers with a background in video editing. A few years ago Yitzchok and Rochel moved to Bensalem where Yitzchok joined the Bensalem Kollel and Rochel started out as BJOC's secretary. The Simons have three adorable children, Fraidy, Perel and Michoel. 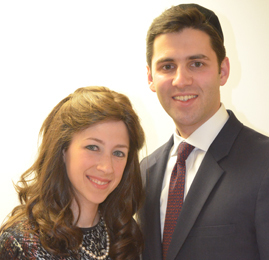 They have chosen to make Kiruv and Jewish education their life's mission. Shabsi was born and raised in Lakewood, NJ. He was one of the founding pupils of Yeshivas Orchos Chaim in Monsey, and then moved on to study in Mirrer Yeshiva in Brooklyn, NY. Shabsi married Miriam (nee Zimmerman) from Seagate, NY. After living in Flatbush, NY for a few months they moved to Lakewood, NJ. Shabsi learned in Bais Medrash Govoha for three and a half years. 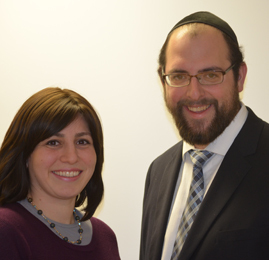 In 2011 the Sorschers moved to Bensalem, with Shabsi joining the Kollel and Miriam serving as the Preschool teacher. They are very involved in the community - both with outreach as well as with other community concerns. Shabsi enjoys learning and teaching Torah. His wife Miriam has proven herself to be an outstanding Preschool teacher who has won the love and admiration of her students, as well as of their parents. They are blessed with five lovely children, Chaya Faiga, Shayna Rochel, Nechama Leeba, Batsheva and Shlomo. Aaron Dovid grew up in Bensalem, PA and attended Yeshiva in Lakewood, NJ. Aaron Dovid is married to Chani (nee Steinberg) , a native of Baltimore, MD. 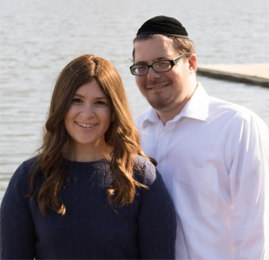 They lived in Baltimore where Aaron Dovid attended Ner Israel Rabbinical College and Chani graduated with a Master's of Science in Occupational Therapy from Towson University. They moved to Bensalem shortly thereafter, and Aaron Dovid joined the Bensalem Community Kollel. Subsequently, Aaron Dovid pursued a Master's degree in Accounting from Fairleigh Dickinson University. Chani currently works as a full time Occupational Therapist for Mercy Home Health and Aaron Dovid is working as an accountant for PricewaterhouseCoopers in Philadelphia. Aaron Dovid also runs our Shabbos morning learner service. They are kept busy with two adorable children, Benny and Aliza. Their open house continues to amaze the many guests who frequent their dining room table. Tzvi grew up in Cleveland, OH, where he attended Telshe Rabbinical College. He then moved onto Israel to study in Yeshivas Mir Yerushalayim. On his return to the states he married Shana (nee Weinstein). 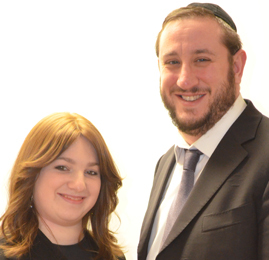 Close to four years ago, Shana & Tzvi joined the Bensalem community and continue developing in the areas of Torah and Kiruv. In addition to learning full-time in the Kollel, Tzvi is also a teacher in the Bucks County Hebrew School and serves as head counselor of Camp Achdus in Philadelphia, during the summer months. Shana is employed as a physical therapist in the area. Tzvi and Shana have two beautiful daughters, Bayli and Tehilla. They both enjoy BJOC and are currently attending Politz Hebrew Academy. 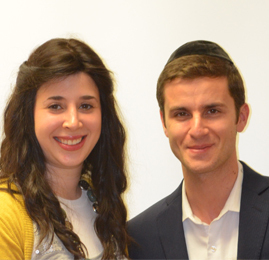 Tzvi and Shana's active outreach and never- ending dedication have endeared them to all. Mrs. Faigy Kahn nee Goldman from Washington Heights is the efficient and organized secretary of BJOC. 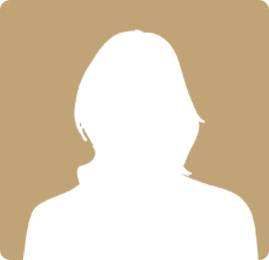 She is also the attendant of the Bucks County Mikvah and in that capacity she ensures that the mikvah maintains its high standard of beauty.